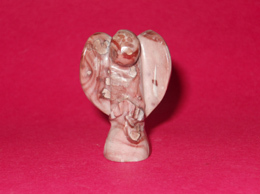 Rose quartz Angels Size approximate height 3.5 cm to 5 cm. Rose quartz enhances love and happiness. These Angels made from Rose quartz brings love and happiness. 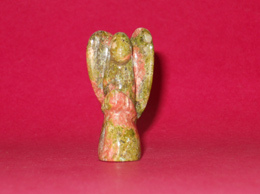 These beautiful Angels can be kept at home and offices for prosperity and happiness. You can carry in your pocket for divine guidance and divine protection. It brings good luck. This Rose Quartz Angel helps to develop emotions such as gentleness, kindness it also develops awareness towards negative emotions. 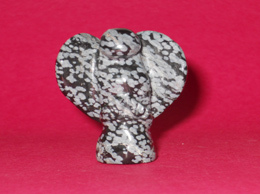 This Rose Quartz Angel develops love it makes a person more sensitive and less stubborn. 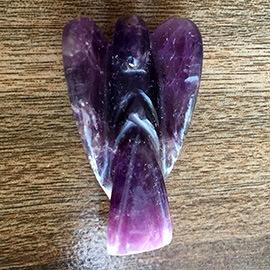 This Rose Quartz Angel also helps those dealing with death of a loved one it helps them by giving strength to cope up with the loss. 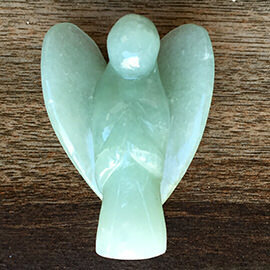 This beautiful looking Rose Quartz Angel is made from the best quality Rose Quartz rough. 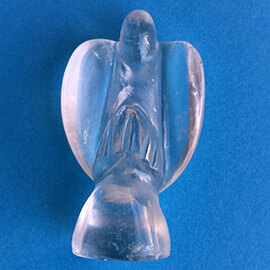 This Rose Quartz Angel is a perfect example of exemplary craftsmanship. The smooth finish and the detailed design of the Rose Quartz Angel speaks volume about the quality of attention given to craft this extraordinary piece of art. Often the Rose Quartz is carved into an angel to empower and enhance its energies. The supreme quality Rose Quartz rough used to craft this beauty has been hand picked to keep up with our high quality standards. This Rose Quartz Angel helps to develop emotions such as gentleness, kindness it also develops awareness towards negative emotions. 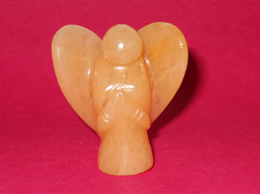 This Rose Quartz Angel develops love it makes a person more sensitive and less stubborn. This Rose Quartz Angel also helps those dealing with death of a loved one it helps them by giving strength to cope up with the loss.